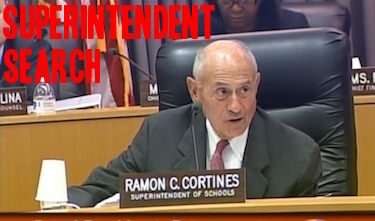 Thirty seven community groups under the umbrella of the nonprofit organization Communities for Los Angeles Student Success (CLASS) are asking the LA Unified school board to form a committee of community leaders to participate directly in the search for a new superintendent. The organization wants the committee to have the opportunity to interview top candidates and provide a recommendations to the school board. The board has hired the executive search firm Hazard, Young, Attea and Associates to find candidates; it has also scheduled a series of public meetings this month for people to weigh in on what characteristics the next superintendent should possess. Those meetings are open to the public and include community leaders that board members have suggested. But there has been no plan for a formal committee of community leaders. The search firm has said it plans have to have a list of candidates for board members to interview by late November or early December, a timeframe that coincides with plans by Superintendent Ramon Cortines to retire by the end of the year. CLASS is a coalition of 10 core organizations and other affiliated groups that includes The United Way of Greater Los Angeles, Community Coalition and Inner City Struggle. In addition to a request for the committee to be formed, CLASS also sent a letter to the board on Oct. 1, outlining the results of several surveys and community input sessions it has held to seek input on what people wanted in a new superintendent and how the search should be conducted. According to CLASS, this included surveys of over 110 civic and community leaders, town halls that involved over 1,200 participants, a dozen focus groups of teachers, students and parents and a student survey of over 450 low-income LA Unified youth. The desired characteristics “include an individual who works on the ground with educators, students and families, is committed to equity, and can navigate the tough political climate in Los Angeles,” according to CLASS.